So, I found a recipe on Pinterest, but had to change it up a bit. This really does taste like cookie dough, and you can eat it because it has no raw eggs (but does that really stop anyone from eating cookie dough??) Just remember, this is very rich. It eats like fudge with a shortbread crust!! One taste is so delicious and slightly addicting, but cut them into tiny squares for serving. I added the shortbread and am glad I did as I think it adds some texture and contrast to the sweet, sweet cookie dough. A delicious cookie dough bar without the raw eggs. Delicious shortbread crust adds contrast and a buttery finish! For shortbread, mix sugar, flour and cornstarch together. Cut in butter until you get a pea-like consistency. Press into bottom of 9x9 inch pan. Bake for about 18-20 minutes until shortbread is just beginning to brown. Mix butter, brown sugar, and vanilla together until creamy. Add flour and sweetened condensed milk. Cookie dough should be soft and have dough consistency. Once crust has cooled, press cookie dough on top. You may want to use a plastic baggie to help you press dough onto crust. Put chocolate chips in microwavable bowl. Put in microwave on 50% power for 30 seconds. Continue to do this until chocolate chips are melted. Add half and half and mix until smooth. Spread on top of cookie dough. Put in fridge and allow to cool for 2-3 hours. This is yummy, but a very sweet and heavy bar. If you love cookie dough and fudge, you will love this dessert! You may like mini chocolate chips in this recipe, but I used regular. It is personal preference!! Enjoy these sweet cookie dough squares!! If you have a sweet tooth and a craving for cookie dough, these will hit the spot!! It makes enough to share, so add to your pleasure by sending some out to your neighbors!! Have a beautiful Monday and a great week!! Here are a few alternate recipes that I viewed as I prepared this recipe: A Family Feast and Life’s Simple Measures. Pinterest has a whole bunch of recipes for this as well!! The one with peanut butter also looks fantastic!! We just have a peanut allergy here, so no nuts for us!! What is your favorite cookie recipe? Chocolate chip? Snickerdoodle? Oatmeal raisin? Leave a comment and let me know! Oh. Now I have to go see your dipped oreos!! Must have some of those. My sister in law loves Oreos so much that she will eat a whole package herself!! Thanks for stopping by. You can’t go wrong with cookie dough! Oh wow, these sound incredible! I love cookie dough anything, so I’m sure these will be amazing. I know. I can’t even stop myself from eating raw cookie dough, even though it is taboo!! Thanks for stopping. Have a great day! My heart just skipped a beat! I bookmarked this. Thanks for joining Merry Mondays! Hi Marilyn!! I feel like I am getting to know you!! These are yummy, but SO rich!! I guess I am a sucker for dessert!! Thanks for stopping! Hi Elizabeth! Stopping by to say hi, and to thank you for voting for Star in the baby contest!! I appreciate it!! Paula J recently posted…VOTE for STAR!!! Well, Paula! Who wouldn’t vote for Star? What a darling!! Thanks for stopping by here, and for pinning! Oh my goodness!! I think these could become a new obsession of mine!! I love all things cookie dough! 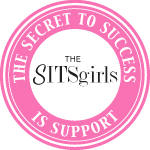 Popping over to say go from the SITSgirls linkup! Thanks, Nichole! I love cookie dough as well. I almost love cookie dough more than cookies!! Thanks for dropping by! These look amazing. I’m seriously finding so many incredible recipes today I’m itching to make them all. This is totally one of them. I love chocolate, and love cookies, so, yeah – yes, please! Andrea B (@goodgirlgonered) recently posted…Without any marshmallows. Thanks, Andrea. Isn’t it funny how many yummy recipes are out there. I wish I could make them all. One at a time!! Thanks for stopping by and enjoy!! Elizabeth, I am always saving your recipes to my favorites so I can make them at another time! I will have to bake something this weekend! I know. I have been so busy I haven’t been able to bake as much as I’ve wanted either. I have run across several recipes that look yummy! Life sometimes moves too quickly! Thanks, Susie!! Have a great day! Oh, wow, these look incredible. I’m pinning this now! Thanks Rebekah!! They are incredibly scrumptious and rich!! Thanks for stopping by and have a wonderful day! Oh my, what a decadent recipe, I bet this is really rich in flavor!!! Thanks for sharing this week!!! Thanks Karren. And, thanks for hosting. Have a great day!! Thanks Cassie!! Have a wonderful day! Shortbread, cookie dough, and chocolate on top. Oh ya. These will be made very soon. Thanks Ricki. These are yummy. Thanks for hosting the Weekend Social! Always fun to connect with great bloggers! These sound fabulous- I love the chocolate layer on top. Thanks Camille. My fav was the shortbread!! Thanks for stopping over! Oh so true Nicki I do a lot of my blog hopping in the morning, and it gets me every time. Thanks for stopping by! Ok yes this is just YES! Great post and recipe. Thank you for linking up to Friday Favorites last week, hope to see you this week! Thanks Laura!! Thanks for hosting Friday Favorites and have a great weekend!! I will be there again!